The perfect hangout for happy hour with friends, family dinner or after your round of golf. Open daily to the public throughout the golf season and offering three distinct spaces for you to enjoy. 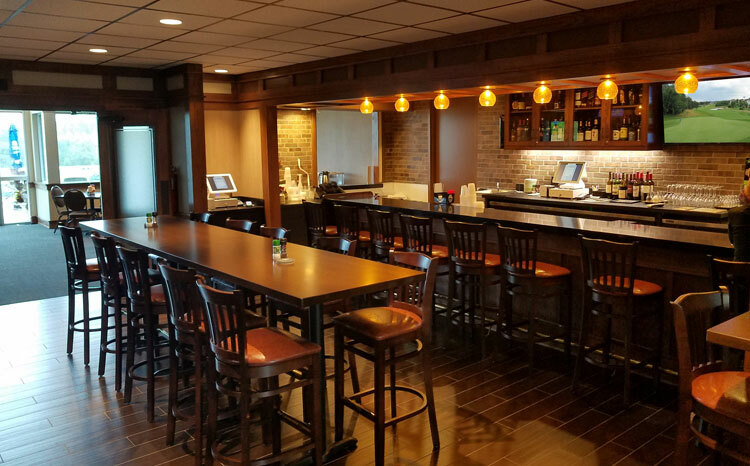 The bar is an intimate and warm setting with screens to watch your favorite sporting event. Our party room features stunning views and can host large private events during the off season. The patio is a great place to relax and enjoy the fresh air at one of our fire pit tables. Stop in soon for friendly service, delicious food, signature cocktails, happy hour specials and local craft beer.